As it says above, we have added local contenders Dormant Figure to the undercard for TW#2. 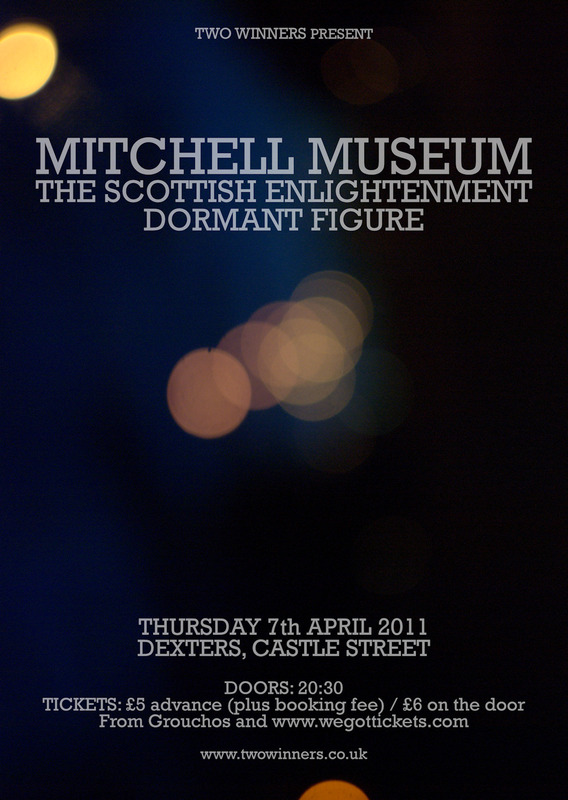 Get yourself along to Dexters on Thursday 7th April to see up and coming Scottish heavyweights Mitchell Museum and The Scottish Enlightenment in action. 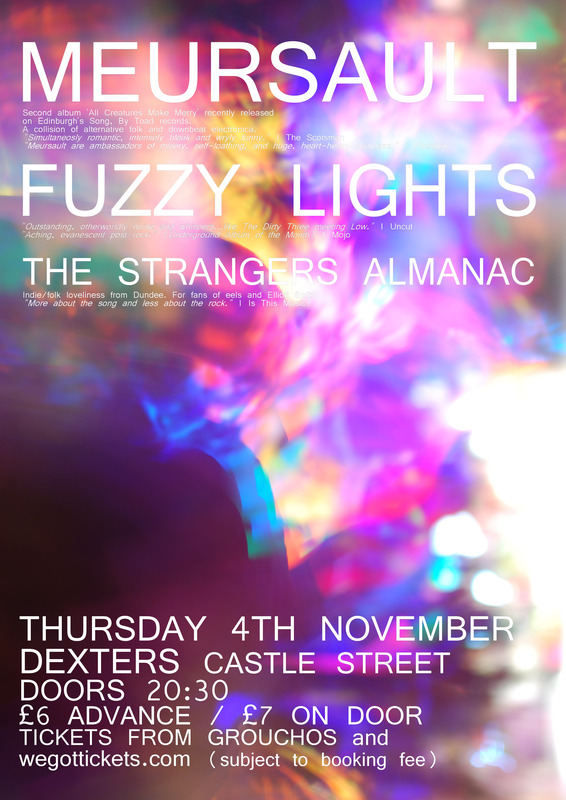 Two Winners are proud to present our second show, featuring two of Scotlands finest up and coming bands. Debut album ‘The Peters Port Memorial Service’ picked up acclaim from Uncut, Q, The Guardian, BBC 6 Music, The Skinny and many others upon its release last autumn. Most regularly compared to the Flaming Lips, Grandaddy and Animal Collective. After a quiet couple of years following their debut single “Eyes”, the Scottish Enlightenment more than made up for their silence in 2010 with not just a rather fine debut album (‘St Thomas’) but also two excellent EPs. Highly recommended for fans of the National, Pavement, Low and Luna. Dundee’s very own Dormant Figure will be entertaining you with their gloomy post-punk/indie rock. Hints of Echo and the Bunnymen, Teardrop Explodes and the Sound. Our first event, passed successfully.